Researchers at Rice University have packed an entire lithium ion energy storage device into a single nanowire. The researchers first reported the creation of three-dimensional nanobatteries last December. In that project, they encased vertical arrays of nickel-tin nanowires in PMMA (Plexiglas) that served as an electrolyte and insulator. They grew the nanowires via electrodeposition in an anodized alumina template atop a copper substrate. 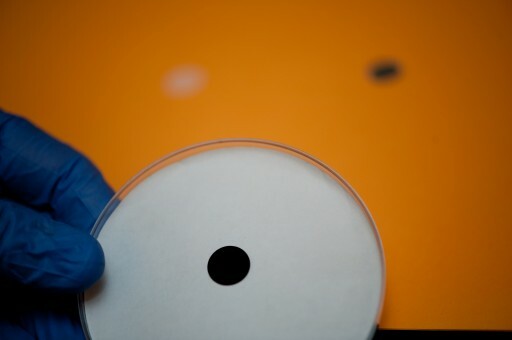 The new process tucks the cathode inside the nanowires, the researchers said. They used PEO as the gel-like electrolyte that stores lithium ions and also serves as an electrical insulator between nanowires in an array. 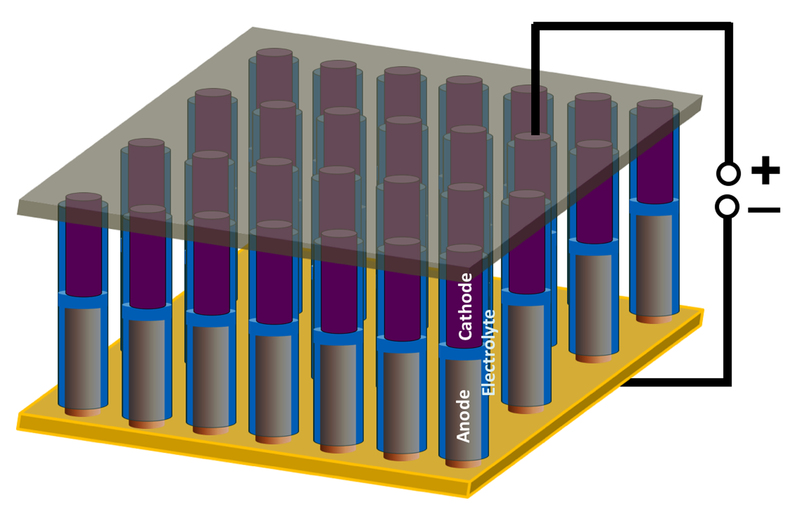 The experimental batteries are about 50 microns tall and show good capacity, the researchers said. They are fine-tuning the materials to increase their ability to repeatedly charge and discharge, which now drops off after a about 20 cycles.